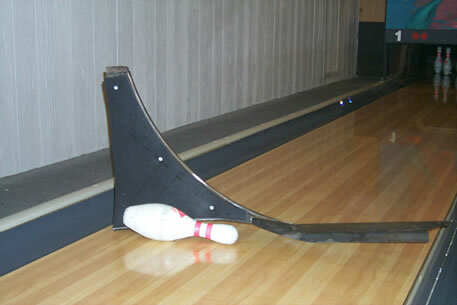 PROBLEM: Plows constantly cracking and causing damage to bowling pins. REMEDY: Weld old plow or replace it with a new one and install a TUFFY plow cover on top of it. Easily installs with four special drive rivets. This specially designed cover made out of UHMW will keep the plow from breaking while also quieting down the pin noise. Copyright © Stahl's Seventy's | Phone: 651-322-2141| Fax: 651-322-2142 | Site designed by: Stahl's Seventy's, Inc.